Kippers are a delicious seafood option and offer several health benefits. For one thing, they are rich in omega-3 fatty acids and contain a wide range of essential nutrients. This article provides a guide to what kippers are, the health benefits they have, how to eat them, recipes, and more. Firstly, a kipper is not an actual species of fish; it is a traditional dish produced by cold-smoking Atlantic herring over wooden oak chips. Atlantic herring is a small oily fish that that inhabits the North Atlantic ocean. See here for a full guide to herring. When making kippers, a whole herring is first split in half from tail to head, salted, and then cold-smoked. The resulting smoked fish has a distinctive flavor with a salty, smoky and very flavorful taste. After the smoking process, the fish takes on an appealing golden color, as shown in the photo above. Although people dispute the exact origins of this smoked fish, it likely originated in either Northumberland or Great Yarmouth, England. Kippers enjoy popularity in the United Kingdom and Ireland, which still traditionally produce them. UK and Canadian producers also export kippers around the world, and they enjoy popularity in Japan and specific North American regions. Key Point: Kippers are a flavorful dish produced by salting and cold-smoking Atlantic herring. While today’s younger generation mostly grew up with cereal, kippers were a regular breakfast meal for older generations. In fact, kippers are one of the most traditional breakfast foods there is. Before refrigeration was commonplace, storing fish and keeping it fresh was immensely difficult. Similar to other preserved and fermented foods, the process of “kippering” fish grew to prevent food spoilage. 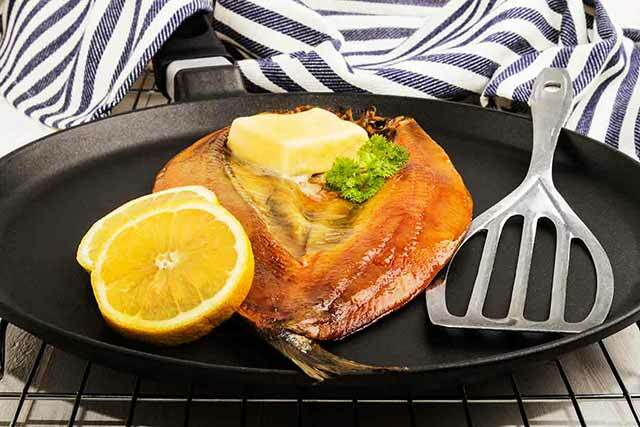 However, kippers remained popular even with the advent of refrigeration; they were a mainstay at the breakfast table from Victorian times until around the 1970s. Unfortunately, after this time our idea of what breakfast constitutes changed, and ultra-processed cereal increasingly became the default option. Key Point: Kippers had long been a popular and traditional breakfast meal, but they fell out of favor over the past few decades. How do kippers perform nutritionally? In the tables below, we can see the nutrient profile per 100 grams (1). As we can see, kippers are a good source of fat and protein, and they contain a rich source of omega-3 fatty acids. Kippers are an excellent source of vitamins, and they are particularly high in vitamin B12. Similar to other fatty fish, they are also rich in vitamin D.
Kippers offer especially large amounts of selenium, sodium, and phosphorus. Key Point: Kippers are a nutrient-dense food that provide significant amounts of protein, omega-3, vitamins, and minerals. Kippers have an impressive nutrition profile, but what kind of benefits can we get from eating them? Since omega-3 is an essential fatty acid and we cannot synthesize it within our body, we need to obtain it from dietary sources. Per 100-gram serving, kippers contain approximately 2365 mg of omega-3, which is a substantial amount. Human trials demonstrate that omega-3 helps to prevent inflammation and provides health-protective benefits for people with arthritis and atherosclerosis (heart disease) (2). Although more research is necessary, a higher omega-3 intake may provide benefits for depression sufferers (3, 4, 5). Consuming more omega-3 can help to normalize the important omega-6 to omega-3 ratio. Most people consume too much pro-inflammatory omega-6 and not enough (anti-inflammatory) omega-3 (6, 7). Key Point: Ensuring sufficient omega-3 intake is essential for our overall health. Kippers have a protein density of around 25%, which is similar to meat options such as beef and chicken. Protein is crucial for so many reasons, and it plays a role in everything from building muscle and immunity to healthy aging (8, 9, 10). Ensuring an adequate intake of protein is especially critical for physical athletes and the elderly. 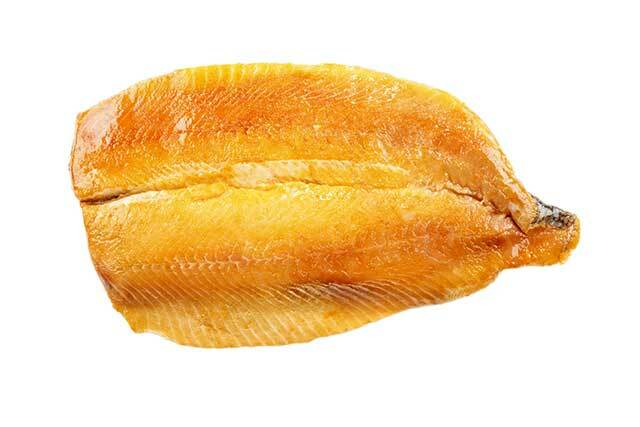 A typical 150-gram kipper serving provides approximately 37 grams of protein (1). Key Point: Kippers are a rich source of dietary protein. Selenium is a mineral with antioxidant properties that can help to protect our body against inflammation and strengthen immunity (11, 12). While selenium deficiency is rarely a problem in the Western world, deficiency prevalence rates are high globally. One of the significant causes of selenium deficiency is low levels of selenium in soil, which can be a problem in any local area. If the ground does not contain adequate selenium, then the vegetables that grow in the land will not either. This issue is particularly a problem in China, where 72% of the country’s soil has low selenium levels (13). Kippers are an outstanding source of selenium, and a 150-gram portion of kippers provides over 110% of the DV for the mineral (1). Key Point: Kippers provide a substantial amount of dietary selenium. It is not only beef and red meat that provide B vitamins, and seafood can also be an excellent source of these vitamins. On that note, kippers are one of the very best. 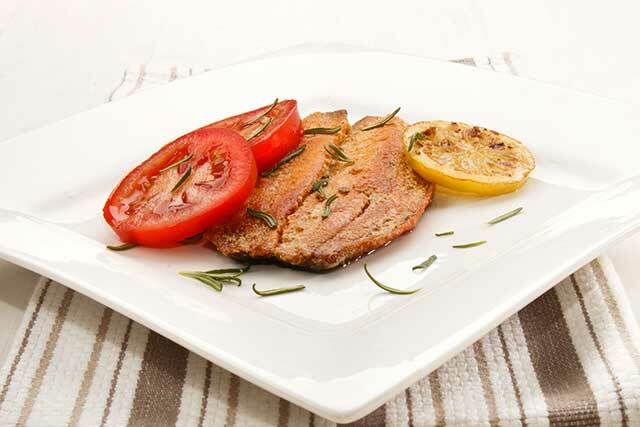 Notably, the fish provides 312% of the DV for vitamin B12 and ample amounts of the remaining B vitamins (1). Vitamin B12 is a vital micronutrient and one that is extremely important for our overall health. For instance, B12 deficiency can lead to autoimmune conditions, impaired digestive function, and an increased risk for cardiovascular disease (14). Key Point: Kippers are one of the best dietary sources of B vitamins. Vitamin D is one of the single most important nutrients, and perhaps it is even the most essential of all. Firstly, vitamin D is not a vitamin in the traditional sense, and it functions as a hormone within the body. Additionally, the vitamin affects every process within our body. As a result, a vitamin D deficiency can cause some serious issues, and these may include a higher risk of cancer, cardiovascular disease, and dementia (15, 16, 17). We can either obtain vitamin D from the sun, supplementation, or a limited selection of foods that includes oily fish, eggs, and mushrooms. Since dietary sources of vitamin D are in short supply, the fact that kippers provide 30% of the DV per 100 grams is an excellent health benefit (1). A typical 150-gram serving of kippers would, therefore, provide almost half the recommended daily value for the vitamin. Key Point: Kippers offer a respectable amount of vitamin D.
There are many different ways to eat kippers. However, here are three of the most traditional ways people eat the dish. For a truly traditional breakfast, kippers with poached eggs may be the top choice. In addition to tasting delicious, this meal requires very little time to make. Firstly, fill a pan with water and bring to the boil, and poach two eggs. While the eggs are poaching, add some butter to a skillet and lightly fry the kippers on both sides. It should only take a total of around 5 to 6 minutes. After this, quickly saute some spinach in the remaining butter. Finally, put the kipper and spinach on a plate and serve the poached eggs on top. This cooking method is such a simple, yet tasty and nutritious meal that takes around 10 minutes from start to finish. “Fast food” can be healthy. Traditionally this one is served on top of a piece of toast. However, for anyone wishing to avoid bread, it works just as well without. For this recipe, all you have to do is lightly fry the kippers and then top them with grated raw onions, freshly squeezed lemon, and lemon slices. Although not so traditional, adding some olives or capers and mayo is a nice addition. There is not anything special to this recipe, and it just involves cooking the kippers in a liberal amount of butter. Once the fish is nearly ready, add a squeeze of lemon juice into the pan and a few sprigs of parsley, and then serve on a plate. Add some leafy greens and mushrooms to make it more of a meal. It is worth noting that kippers are similar to sardines in that they contain lots of bones. However, these bones are not as small as sardine bones are. On the positive side, it is straightforward to remove the bones with minimum effort. To do this, peel the skin away from the kipper, and you should then be able to lift the bones off the fillet. 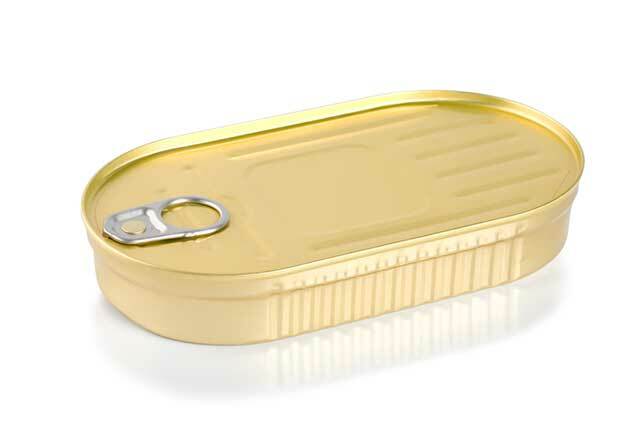 In addition to ready-smoked kippers, they are also available in canned form (similar to canned tuna or sardines). There are no significant nutritional differences between the two, and canned kippers are good for you in the same way that normal kippers are. In my personal opinion, canned kippers are not as tasty as a just-cooked whole kipper fillet. However, they offer greater convenience and make an excellent high-protein, omega-3 rich snack for when you’re on the go. Key Point: Canned options may not taste as good, but they are just as nutritious and make a convenient and portable snack. For anyone in the UK or Canada, it should be easy to find kippers at any reasonable-sized supermarket. However, they can be harder to find in the United States and other countries, but they are available in some Whole Foods stores. Local British food stores or online delivery is another option, and canned kippers are available online too. Kippers are a delicious, traditional breakfast food, and they provide a rich source of protein, omega-3, and an array of vitamins and minerals. Furthermore, they are a reasonably affordable fish, which shows that good food doesn’t have to be expensive. Lastly, the traditional meal of kippers for breakfast is undoubtedly healthier than sugary cereal.